There are a few questions that always seem to warrant the same answers, no matter who is asking them. We consider them to be (almost) universal truths. Here are just a couple of examples: What should I do to prevent premature signs of aging? Wear sunscreen every day. What should I make for lunch? Something involving avocado because it's delicious. What should I use to ensure my makeup lasts all day long? Setting spray. As for the latter, we've been told time and again that setting spray is the key to achieving truly long-wearing makeup. If we don't want smudging, budging, or flaking, we should spritz our faces before we head out the door. But we have to wonder, do setting sprays really work, or are they the product of misconceptions and good marketing? We felt unequipped to answer this on our own, so we reached out the experts—namely two professional celebrity makeup artists. Keep scrolling to see what they had to say. According to Gloria Elias-Foeillet, makeup artist of stars like Kelly Clarkson, Alessandra Ambrosio, and Emily Ratajkowski, setting sprays really, truly work. "Setting sprays absolutely make a difference in the wear of your makeup," she says. "They prolong the life of your makeup application." That's why she swears by them when working with performers in particular. "Usually you spray it on after you have finished applying your makeup, but sometimes if I need it to be more waterproof, I spray it after each step of a makeup application (i.e. after base, eyes, blush, powder, etc)." Makeup artist Mia Yang agrees (her clients include the likes of Cara Delevingne and Eiza Gonzalez). "Setting spray is ideal for heavy-duty wear, in events such as weddings or a poolside summer party, it truly does its job." The secret, she says, is the special combination of ingredients found inside. "Setting sprays usually contain different types of polymer and some of them have alcohol. These ingredients work great to keep makeup in place for a whole day." Just know that alcohol can be drying, even irritating to some skin types, so proceed with caution before using just any formula. As Yang puts it, "remember that they are not skincare ingredients. Please keep in mind that setting spray is not for everyday use and a little goes a long way. A light mist is more than enough." If you're looking to avoid alcohol altogether, know that there are alcohol-free options out there. 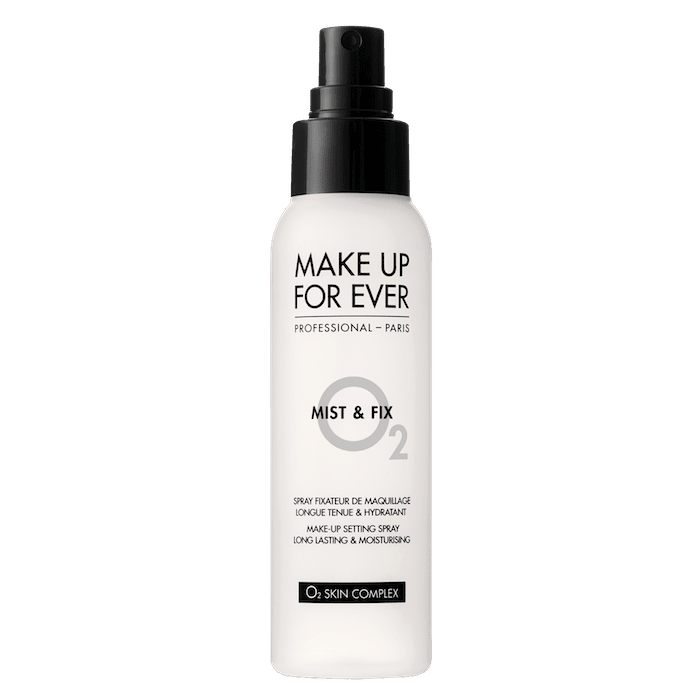 Make Up For Ever offers an alcohol-free setting spray specially formulated for people with dry skin. It actually increases the skin's hydration and boosts oxygenation, which makes the complexion look bright and radiant. 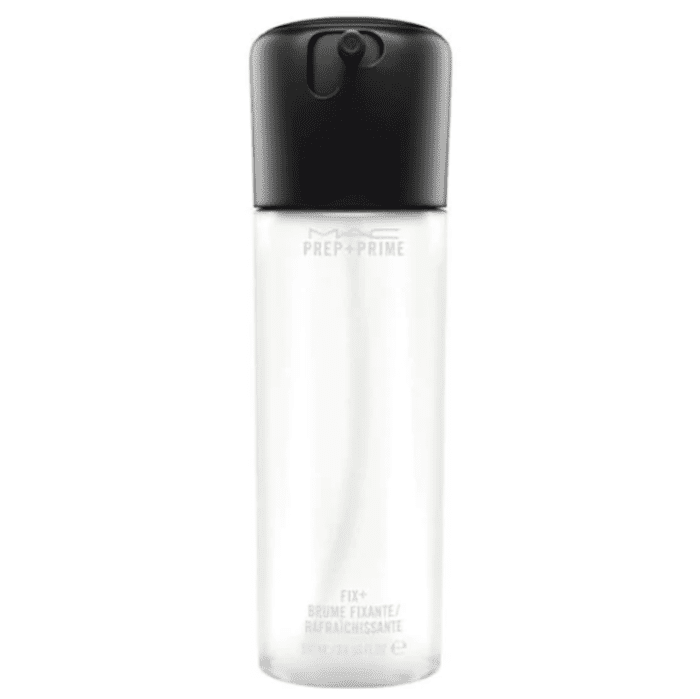 It currently has over 60K "loves" on Sephora's websites, complete with glowing reviews like this: "Great setting spray, it has a fantastic nozzle and sprays out perfectly. I have sensitive skin and eyes, and this does not bother me at all. At the end of the day, my makeup is still going strong with this spray." While water-based setting sprays are typically more hydrating, Elias-Foeillet says formulas that contain alcohol usually perform better. "The ingredient that really makes the difference is the alcohol," she says. "Alcohol-based setting sprays tend to be more effective. They have more staying power." Think of setting spray like hair spray. Those that contain alcohol tend to provide more hold, though they can be drying to the hair. Like many other makeup artists, Elias-Foeillet says her go-to is this classic MAC setting spray. It hydrates the complexion with a blend of green tea, chamomile, and cucumber while setting makeup in place, making it budge-proof. You can go for the original formulation, or opt for coconut, rose, and lavender, all of which smell light and refreshing and lovely. If you have oily skin and shine is a major problem for you, try this oil-controlling spray from Skindinavia, which Elias-Foeillet calls her "other go-to." It's formulated to keep excess shine at bay while reducing the need for makeup touch-ups or oil-blotting sheets. 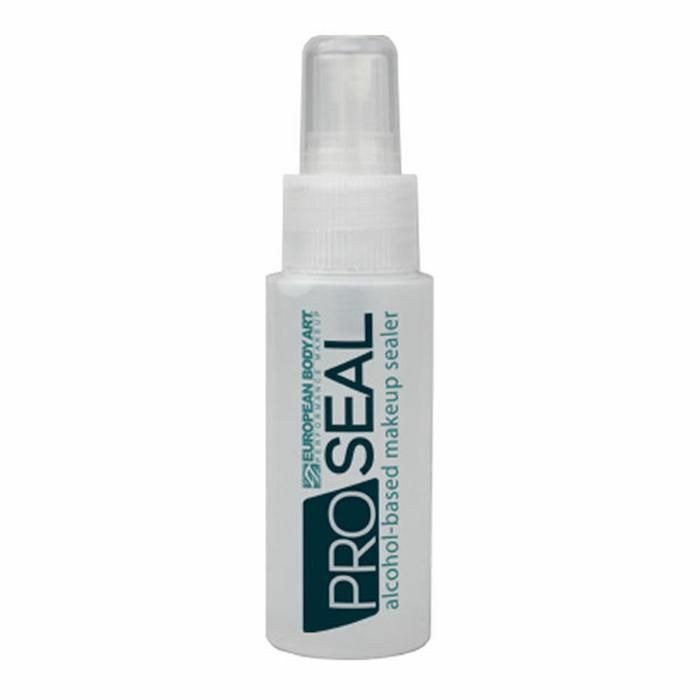 "For REAL staying power, use this baby, European Body Art Pro Seal," Elias-Foeillet says. It's normally used for special-effects makeup, though she says it "works wonderfully for beauty applications." It's flexible, waterproof, and layer-able, so turn to this product on those occasions when you need maximum hold and staying power. It's heavy-duty. As for Yang, she recommends turning to Kat Von D's Lock It Spray, which is 100% vegan (like all other Kat Von D products) and an environmentally friendly alternative to traditional aerosol formulas. Plus, it promises a full 24 hours of staying power. Here's another classic formula, as recommended by Yang. It has a temperature-control technology that lowers the temperature of makeup in order to keep it from fading, cracking, or smudging. It's one of Sephora's most-loved setting sprays with over 390K "loves." 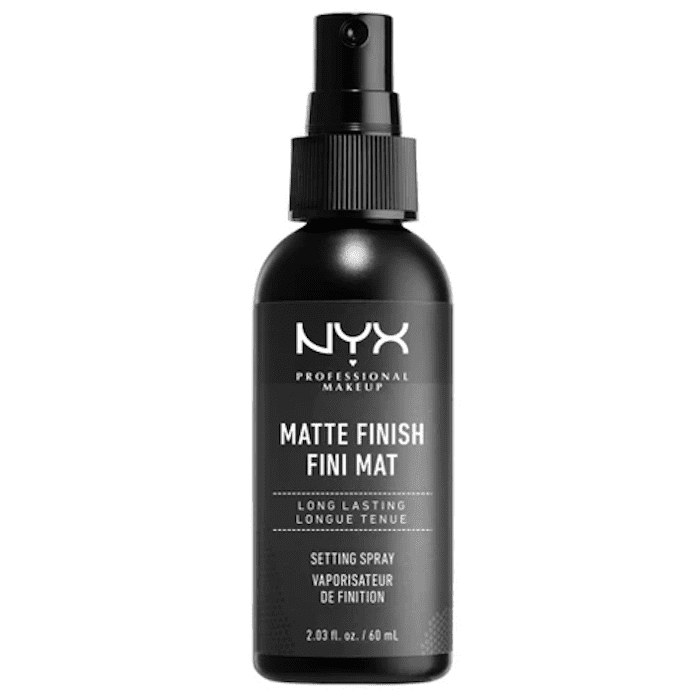 One of our favorite setting sprays is this affordable spritzer from Nyx. It comes in two different finishes—matte and dewy. We think both perform equally as well, though we'll use one or the other based on our different skin types. Personally, I like the matte formula, which keeps my makeup from sliding off my face on hot Los Angeles days. 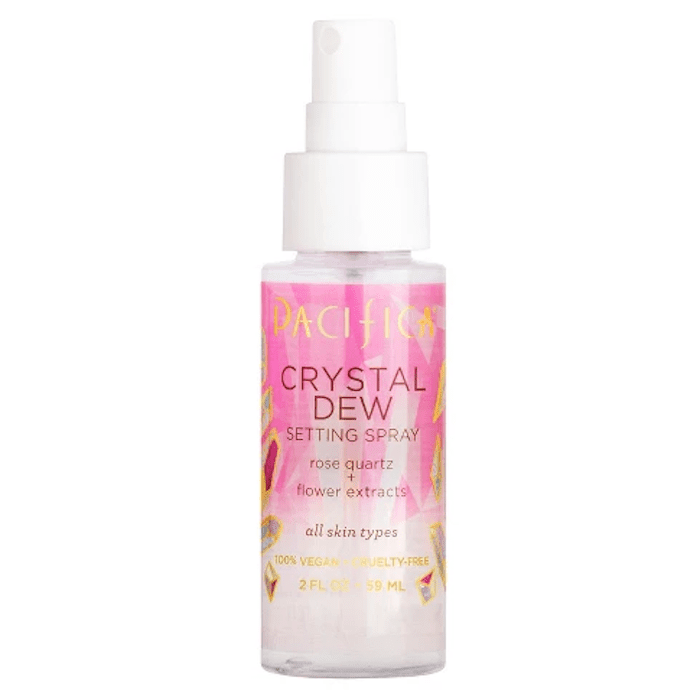 If you prefer a dewy finish to your makeup, try Pacifica's Rose Crystals Setting Spray. It's infused with rose quartz, which dries down to a glistening finish, so you look lit-from-within. Also, rose quartz is famously known as the gemstone of self-love, and we could all use a little more of that, both in our beauty routine and beyond. 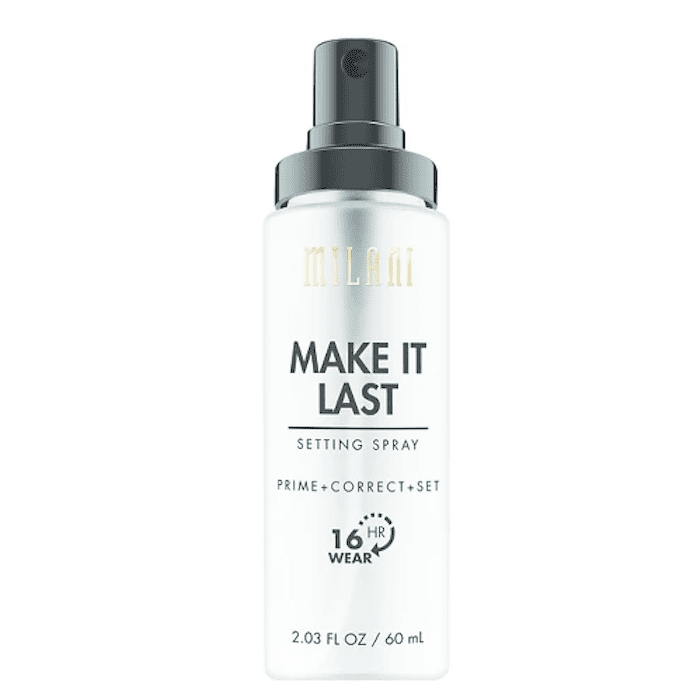 Milani's new makeup spray is another favorite. It can be used before makeup application to hydrate, smooth, and prep skin. Or use it as you would any other setting spray and mist it over you skin post–makeup application. It will keep it in place for up to 16 hours at a time. If you're looking for a setting spray that resists sweat and humidity specifically, then check out our roundup of the best water-resistant setting sprays for locking your makeup in place.